Recently I have discovered a new material for my recycled craft projects. Recycled art and crafting is a great way to upcycle water bottles. 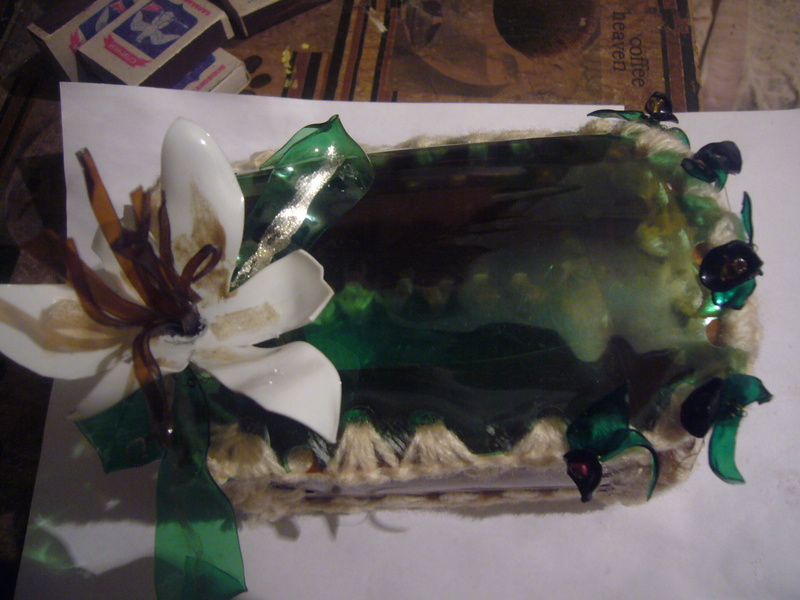 You can make amazing handmade flowers from this material. 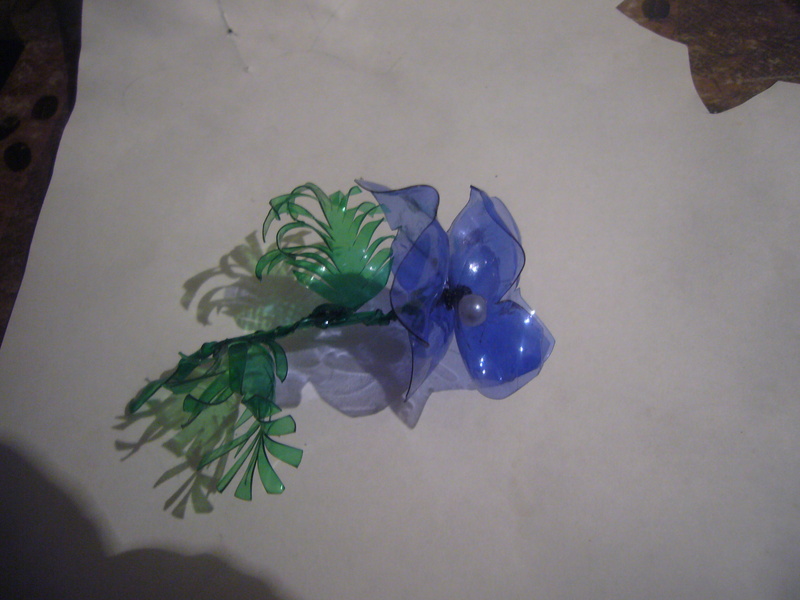 It takes about 5 min to make this blue flower, the stem and the leafs. All of it is made out of water bottles. 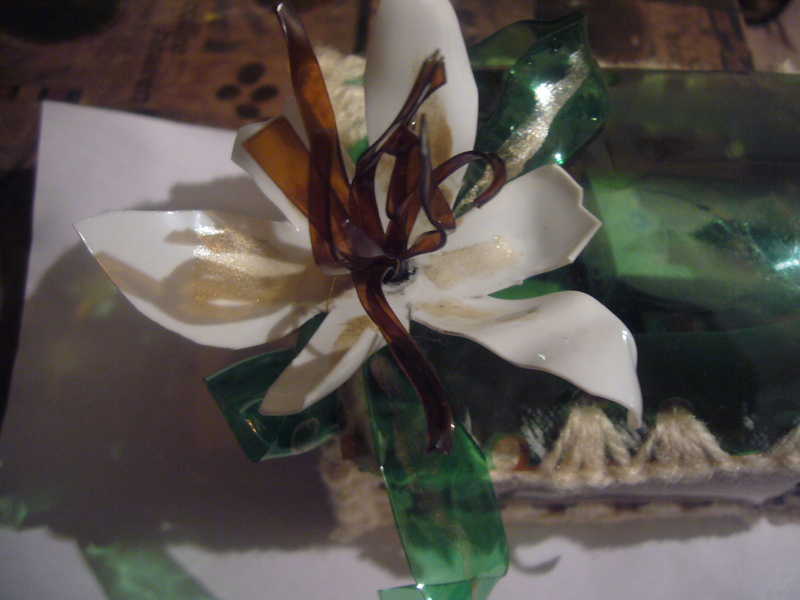 This while flower is also a part of my recycle craft box project and it is made out of plastic bottles. This was my main recycle craft project of the week. It’s a jewelry box made out of plastic bottles. 5. Crochet each of the sides over with yarn using crocheting hook. 6. 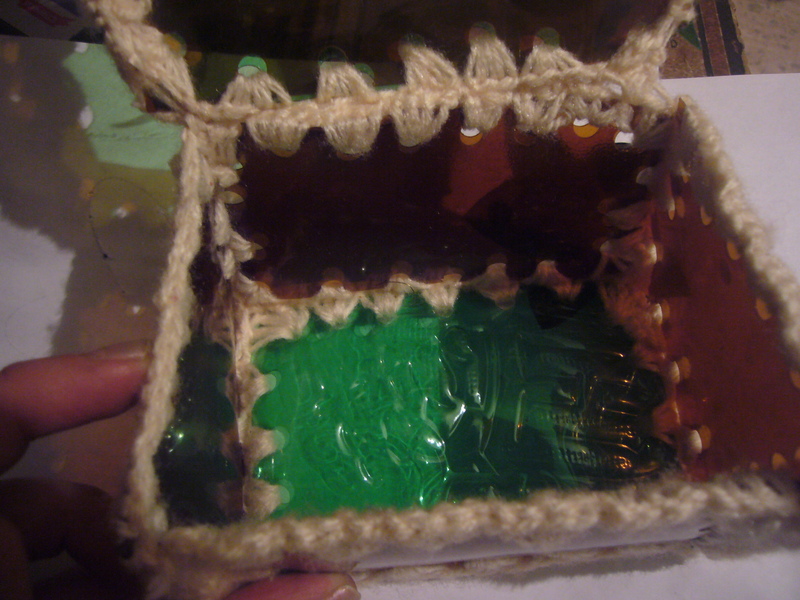 Stitch the box together with the hook and yarn. I have to admit, my first box turned out to be a little crooked. That’s because I did not make a paper pattern for it and cut the pieces unevenly. But still I really like it. It’s a nice recycled craft project to start with. 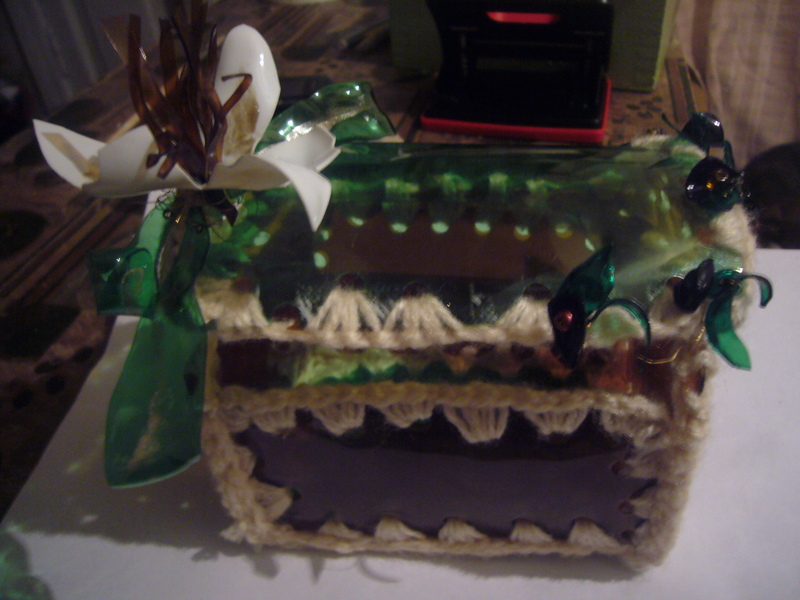 This entry was posted in Crafting Tutorials, Crocheting and tagged crafts, creative tips, creativity, crochet, crocheting, DIY, diy box, diy flowers, eco art, handmade, handmade box, handmade flowers, home decor, mom help, plastic bottle, recycled craft, recycled crafts: water bottle box, repurpose, tips for moms, upcycling, water bottle. Bookmark the permalink.